Foreign cards do not always fare well in the competitive sports card market, but the O-Pee-Chee brand has remained extremely popular. The first O-Pee-Chee set was printed by the O-Pee-Chee company of London, Ontario in 1934. The O-Pee-Chee Gum Company had survived both world wars and was a popular gum and candy manufacturer in Canada. The 1934 V94, or “Butterfinger” set was very similar to the R310 set by the same name, which released at the same time in the United States. The V300 set was then released three years later in 1937. It was strikingly similar to the R318 Batter-Up set. This early pattern of making small changes to the American sets and releasing them in Canada would continue into the 20th century. In 1958, Topps signed an agreement with the O-Pee-Chee Gum Company that allowed Topps to sell hockey cards, which remain popular today. In 1965, Topps licensed the O-Pee-Chee Gum Company to sell baseball cards with Topps’ design. 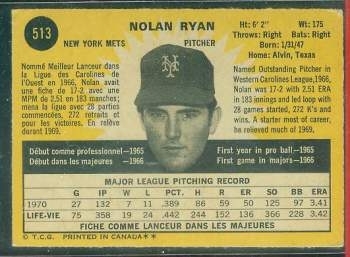 In 1970, the Canadian government passed a federal regulation requiring all media, including baseball cards, to include a French translation. Today, vintage O-Pee-Chee cards are easily identified by their card stock, which frays easily. The card stock also has a dark or grey appearance that sets it apart from the regular Topps’ issue. The Upper Deck company bought the O-Pee-Chee name in 2006. Fortunately for hockey card collectors, they retained their hockey licensing, allowing hockey cards to be printed with the O-Pee-Chee name. Here at DeansCards.com, our best-selling year of O-Pee-Chee cards is the 1965 set. 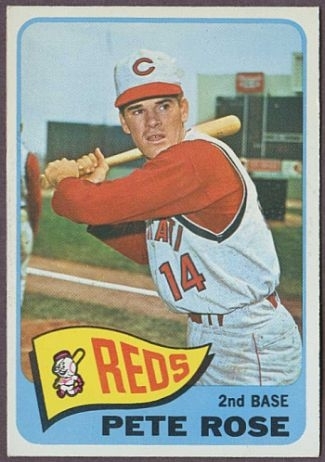 Individually, the 1965 #40 Frank Howard card is the best selling. The most expensive O-Pee-Chee card that we have ever sold is a 1966 #50 Mickey Mantle card. DeansCards.com is currently buying and selling O-Pee-Chee baseball and hockey cards.If you are interested in selling your collection of 1960’s O-Pee-Chee baseball or pre-1969 O-Pee-Chee hockey cards, please click here. If you are interested in viewing our current selection of O-Pee-Chee cards, please click here.